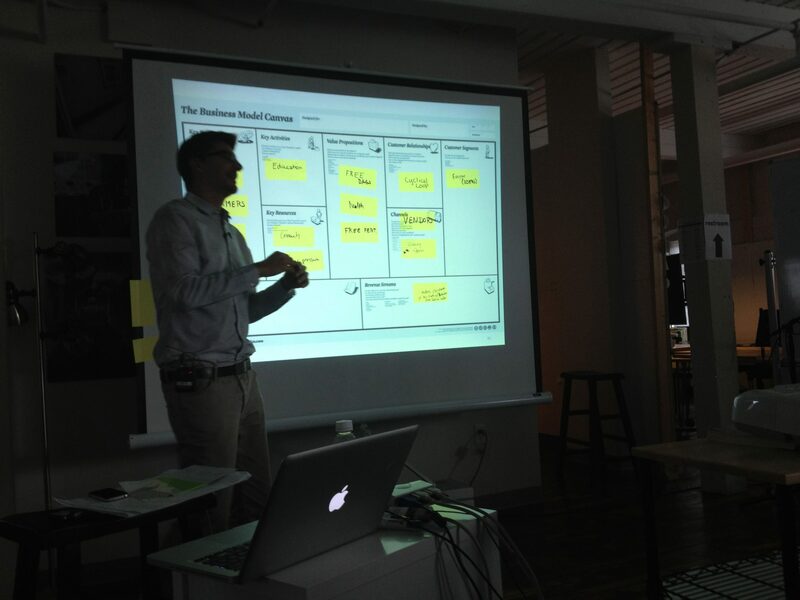 Point: Create new business models using a visual, collaborative tool like Alex Osterwalder’s Business Model Canvas. Story: Business models are complex, which makes them hard to talk about. A business has many interrelated moving pieces. It’s easy for you and your team to miss something when creating one. And with so much complexity and so many possibilities, it’s easy misunderstand each other when we try to invent new business models. Luckily, there’s a solution. 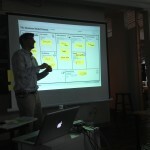 Alex Osterwalder’s Business Model Canvas is a visual tool that helps structure our thinking about business models. 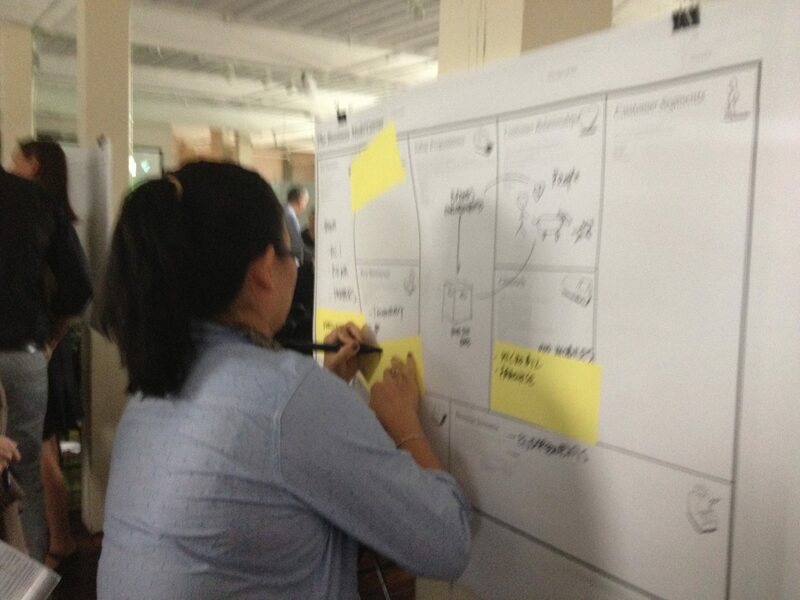 At Osterwalder’s Business Model workshop at BIF8 last week, I saw the power of his Business Model Canvas firsthand. Osterwalder outlined the Canvas method and gave the group the assignment to generate a business model for a specific startup. Small groups clustered around their canvas and the room buzzed with discussion and the squeak of markers as participants took turns sketching out ideas. As we worked, I was struck by three key features of Osterwalder’s approach. The first key feature was that Osterwalder encouraged sketching, not just making lists of words. “Any problem can be made clearer with a picture,” he said. The visual artifact lets people react to something concrete. To encourage people who think they can’t draw, Osterwalder pointed out that people can interpret a stick figure more easily than an abstract concept. “Drawing something, however badly, makes an abstract concept concrete, giving people an opportunity to react to it,” Osterwalder said. Visual thinking helps with understanding, dialogue, exploration and communication. The second key feature was that Alex had us make our sketches and notes on Post-It® notes. We then stuck these to the Canvas. The key part was that then we could move the notes around as we figured out where on the canvas they belonged. 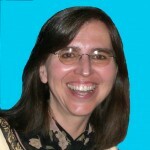 “Post-It® notes are like containers of ideas,” Osterwalder said, that can be easily picked up and moved around. Thus, we could reconfigure our ideas as we refined them. The third key feature was that the Canvas with its Post-It® notes ensures you don’t miss an important area. Because business models are so complex, with many interlocking pieces, it’s hard to hold all the pieces in memory and see their interactions and dependencies. The Canvas helps everyone see all the pieces and confirm that they work together and make sense. People can use different colors of Post-It notes for different business models, which lets them compare alternate models on the same Canvas. This side-by-side comparison can help to then pick the most promising model to test. If you’re working in a group, print the Canvas in large format (we used 3′ x 4′ at the workshop). Most people start on the righthand side of the Canvas, which is the customer side of your business model. It has the “Customer Segments,” “Channels,” and “Customer Relationships” areas. The lefthand side defines the infrastructure of the business with “Key Activities,” “Key Resources,” and “Partner Networks.” A central “Value Proposition” sits between the infrastructure areas that deliver on the proposition and the customer areas that receive the value. Finally, the “Cost Structure” and “Revenue Streams” areas on the bottom sit respectively under the infrastructure and customer sides of the canvas to define the financial side of the model. Play with different kinds of models. For example, Nestlé (in its Nespresso business) tested a model in which Nestlé sold its espresso machine through retail but sold the individual “pods” of coffee directly to consumers. Going direct was new to Nestlé but proved to be very lucrative because Nestle didn’t have to share revenue with the retailer. Keep interdependencies in mind. Every revenue stream, for example, must have a customer segment with an accompanying value proposition that makes it clear why they would pay. And every activity, resource, or partner might incur costs. Alex Osterwalder’s bestselling Business Model Generation book is a must! Alex Osterwalder’s Business Model workshop at BIF8. See his calendar of upcoming speeches and workshops. 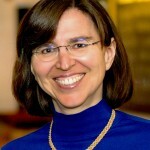 Point: Rule-breaking products may require business model innovations. Story: At BIF7, Alex Osterwalder told his story of breaking the rules when creating his book, Business Model Generation, now an international bestseller. Creating this book meant taking a lot of risks. 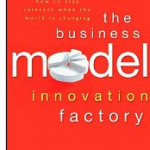 The current business model for business books is broken, Osterwalder said. There are too many books and too few readers. Every year, another 11,000 new business books pile on top the 250,000-space of competing titles. The average book sells only 250 copies per year. Worse, book sales are declining: a 12% drop from 2007 to 2009. 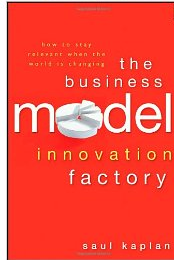 If Osterwalder wanted to create a book on business models that people would love to buy, he would need to innovate the business model for business book production and sales. From the start, Osterwalder asked people what they hated about current business books. People said existing books were too fat with turgid prose but at the same time too light on substance. Second, people found the books impractical because they lacked useful “Monday morning” actions items. Finally, the books were too text-heavy, missing the richer, reinforcing learning experience of a text-and-graphics combination. To address these problems, Osterwalder envisioned something more like a coffee-table book akin to architecture books, being simultaneously informative and beautiful. Osterwalder also faced a business problem: no book publisher wanted to break the rules of traditional business books to publish his book. At the time, Osterwalder was an unknown author from Switzerland wanting to create a book with high production values, expensive color printing, and a very un-business-book approach. The only solution was self-publishing. But, self-publishing wouldn’t be easy because Osterwalder had neither the cash, book production resources (editors, designers, etc. ), marketing department, nor distribution assets of a publishing house. To solve the problem, Osterwalder recruited peers to co-create the book. Ultimately, 470 people contributed to the book in a wide variety of ways. People joined Osterwalder for early access to the ideas, to be part of something bigger, and for the stimulating collaborative process of working on the topic. Not only did this community of contributors help make the book, but they were also its best sales force. To raise money, Osterwalder offered advanced sales under a “pay me now to reserve a copy” philosophy. Demand for the book proved higher than expected, so he raised the price from $24 to $36 to $54 to $81. And, just before publication, he offered a last-minute premium deal: for $250, the buyer would be listed in the book as a contributor who helped make it happen. For distribution, Osterwalder ultimately chose Fulfillment by Amazon. The book quickly became a bestseller in business and in the top 100 of all books selling on Amazon. Osterwalder’s success in self-publishing attracted the attention of Wiley and other traditional publishers, who would never have taken a risk on Osterwalder’s book. “Once you’re successful, everyone wants in,” Osterwalder said. After tough negotiations, he signed with Wiley. To date, over 200,000 copies have sold and the book has been translated into 22 languages. Listen to customers and partners to uncover why competitors fail. Look for lateral inspiration; that is, look for out-of-category products that evidence desirable characteristics. 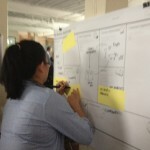 Pre-build customers through a co-creation community in advance of the product release. Play with the pricing and offering to maximize revenues and volume. Find service partners and community members to handle or support the critical secondary tasks of the business.